There are only a handful of shows that I actually like on TV these days. 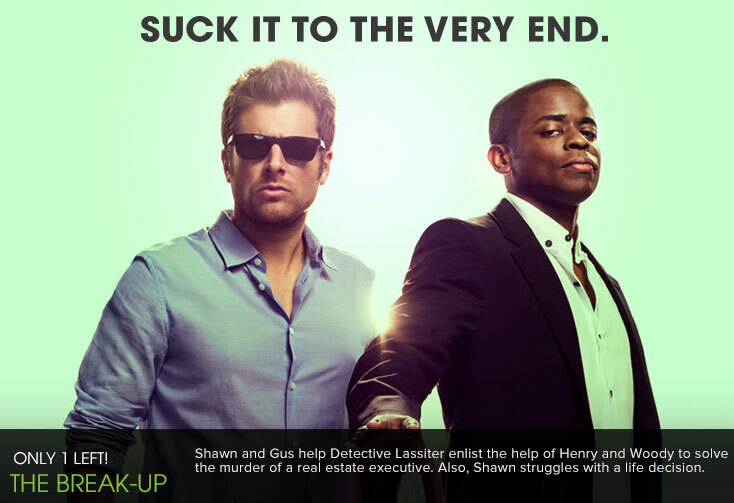 Tonight, the funniest of those, Psych, goes “off the air” after eight seasons. Thanks for the laughs guys.